Some would call Matt and Wendy Fogg fanatics; others would say they’re dedicated. 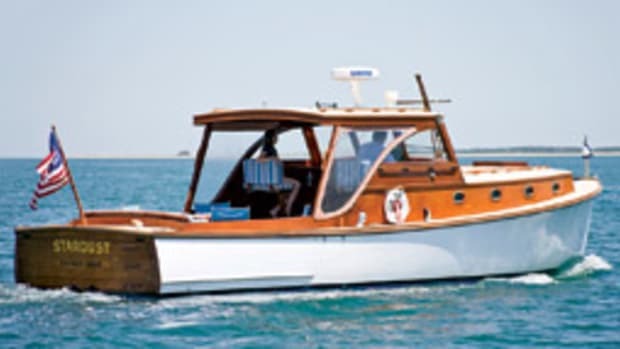 Either way, in one year the Beaver Island, Mich., residents completed restoring Wendy Anne, an 85-ton and 71-foot Army ST2199 tugboat launched in 1950, and then they took it on a 12-day tour of the Great Lakes this summer. Matt is a captain for the St. James Marine Company based on Beaver Island. 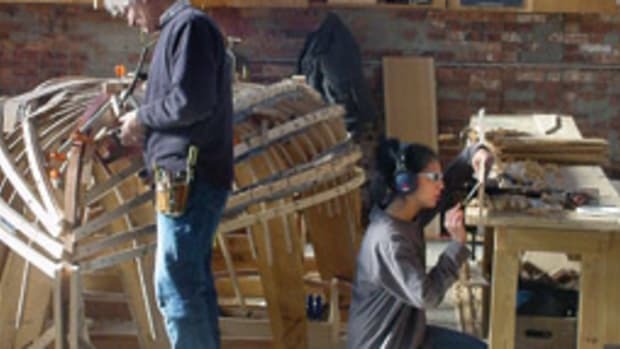 The business was founded in 2001 to serve the roughly 500 year-round residents. Matt and his staff haul freight to and from the island — items such as building supplies and logs. American Girl is a riveted steel 62-foot tug built in Saginaw, Mich., in 1922 to haul fruit and food supplies from Benton Harbor, Mich., to Milwaukee, according to Matt. 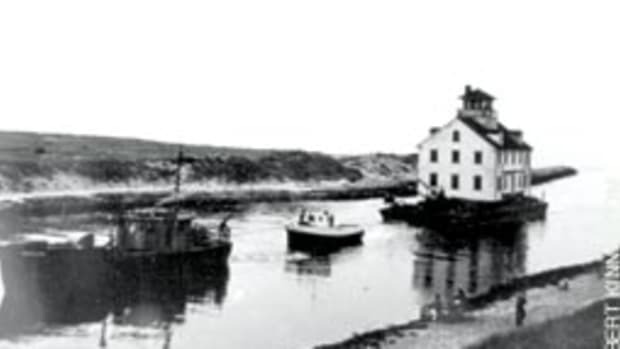 Sometime between 1942 and 1944 the Anderson family brought it to Washington Island, Wis., to haul a fuel barge from Green Bay, Wis., to the island. In 1971, American Girl found its home in Beaver Island when it was bought, along with Oil Queen, a 60-foot oil tanker, by Jewell Gillespie. American Girl worked for years bringing fuel to Beaver Island and it was passed onto Gillespie’s son, Johnny, when Jewell died in 1995. He still is the owner of the vessel. Matt admits he’s always had a love affair with tugs. He grew up in Holland, Mich., and summered on Beaver Island, taking rides on a tug owned by his grandfather, Clyde Fogg. Matt attended the Great Lakes Maritime Academy in Traverse City, Mich., from 1997 to 2000 and graduated with an engineering degree and a 1,000-ton captain’s license. In 2001, he came on board with St. James Marine Company. Matt and his parents, Jon and Sally Fogg, decided in 2006 that St. James needed an equipment upgrade, and Jon decided to provide the capital. Matt and Wendy found their new tug online and traveled to see it in November 2006. Turns out the Wendy Anne has quite the history. For one, she has two other sisters. 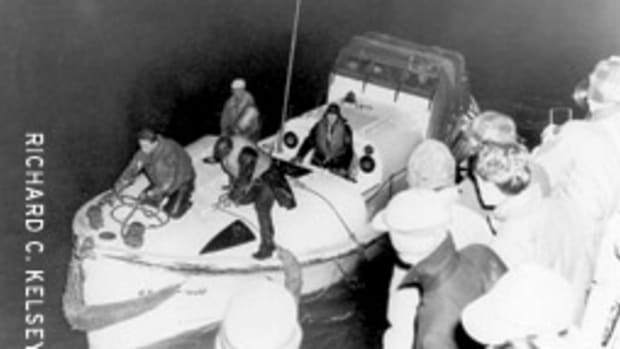 According to Matt, the trio was built in 1950 at a military base in Port Everglades, Fla., during the Cold War and placed on a container ship to be dry-docked in England for almost 40 years. In fact, his tug never hit the water until 1990 when it was towed back to the United States. His tug ended up at Fort Eustace, Va., where it was pressed into service for a while and then sat on the hard for a few years. It resurfaced in 2003 when Ed McDevitt and his family, who own several tugs in Boston Harbor, acquired her. 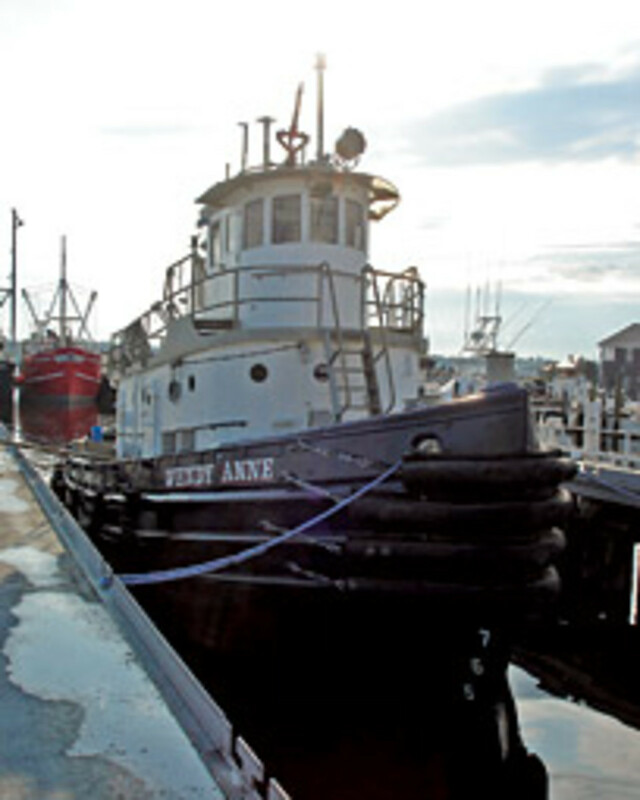 The second sister was towed to Kingston, N.Y., where it now resides as a working, floating exhibit at the North River Tugboat Museum. Matt says he doesn’t know much about the third sister, except he saw it for sale online in the west coast of Florida two years ago, and it was the only tug that made it across the Atlantic without being towed. The Foggs bought the tug from McDevitt for $35,000 in May 2007. However, Matt decided to leave her in the capable hands of D.N. Kelly & Son Shipyard in Fairhaven, Mass., for her massive renovations to begin. Matt and Wendy ripped out the sparse military bunks and put in new interior walls creating a master’s cabin with two separate bunk rooms, with two bunks each. It has a new head, and a 3508 Caterpillar engine with 850-hp, transmission, plumbing, pumps, motors, controllers and fans. The tug also has new wiring and a generator, and the cable steering has been replaced with hydraulics, bringing the project well into the six-figure range. Many of the parts the couple donated to the North River Tugboat Museum in Kingston, N.Y. Matt decided to name the tug after Wendy, who was instrumental in designing the look and feel of the cabin and sleeping quarters, using her skills as an interior designer. Wendy Anne clips along at about 10 knots and tops out at about 12. 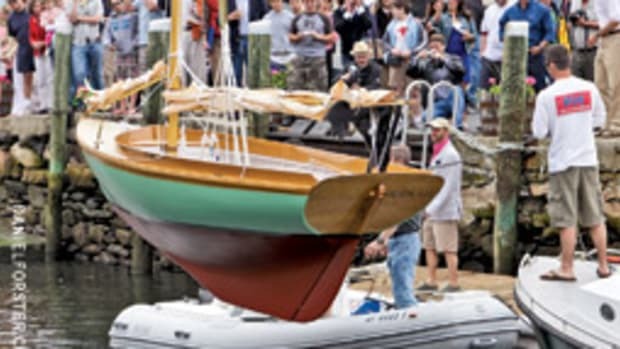 Wendy says they left from Fairhaven on Aug. 7, her birthday, to begin the sea trials, and, after a few adjustments and replacing a faulty heater exchange, they were on their way as of Aug. 20 at 1 p.m. They stopped in at Newburgh, and then headed toward the Erie Canal. 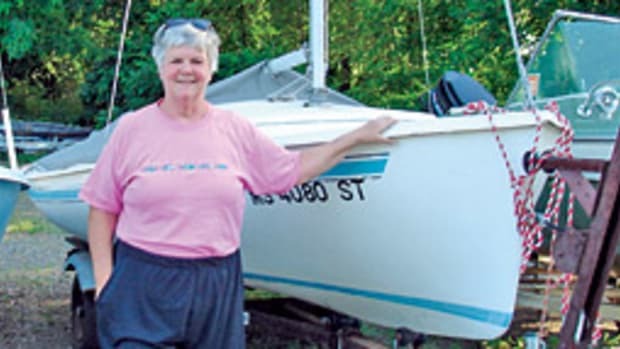 Wendy’s parents, Don and Sylvia Harwood, joined them for the tour of the canal when they stopped in New York, and Matt’s parents came on board in Oswego, N.Y., and joined them for the tour of the Great Lakes. Wendy and Matt both agree that their favorite part of the trip was the Erie Canal. Matt says after the initial setbacks during the sea trials, the Wendy Anne ran “flawlessly” for the whole trip.